As many of you may know, through our family apostolate, PrayTheRosary, we have filled requests from individuals for rosaries, scapulars and medals for the past twenty years. While our retirement and my illness brought this work to an end, these good Servants of the Lord are always in need of MORE ROSARIES. We encourage all of our Rosary Makers to do the same! Sell your better items and use your profit to buy supplies to support the Missions throughout the world. 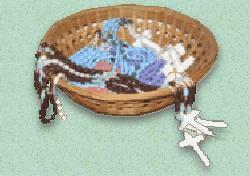 If a certain type of rosary is specified, PLEASE follow those directions. Address your shipping labels as stated. It is vitally important that the Customs Form must be filled out correctly so the Missions are not charged a high tax on the package. 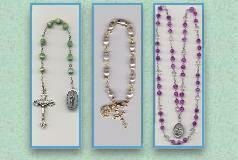 ANY STYLE ROSARY, ANY AMOUNT - lightweight oval plastic cord rosary without center piece are the least expensive to ship. You may choose to make rosaries using the method first created by the esteemed Archbishop Fullton J Sheen, known as The Mission Rosary. Father Raju has been transferred...we will post his new shipping address shortly. Dear Loving Benefactor,Greetings of love, joy and peace to you and May the Almighty shower His abundant blessings upon you and your near and dear ones with good health, prosperity and Success. May the Blessed Virgin Mary intercede for you and help you to succeed in your mission. It's a great privilege, an opportunity and a blessing for me to introduce to you who are so generous, kind and loving towards the poor, down trodden and Catholic Church. Dear Loving Benefactor, I am Fr. GODAVARTHI MARIA RAJU ordained priest in 2005. Now I am appointed as the parish priest of Vuyyuru parish of Vijayawada Diocese and this is my first appointment. 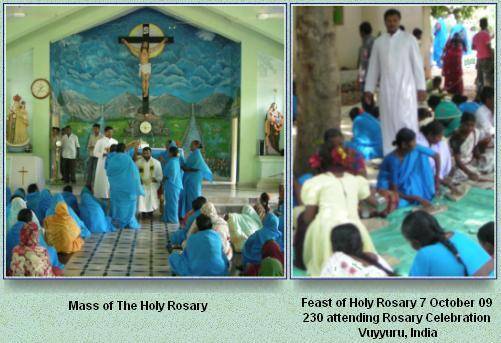 Vuyyuru parish consists of 26 mission stations with 8200 Catholics. Our Catholics are from labour community, poor and they work as seasonal daily laborers and earn $1 per person per day which comes Rs.40 in Indian currency. My Sunday collection is around $9 U.S. dollars. All our Catholics are from Dalit community who are treated as untouchables by majority. Majority of our children are illiterates and they are child labourerers. But they are strong and firm in their Catholic faith In our parish I am encouraging Devotion to Mary and I am insisting on daily praying of Rosary both in the prayer huts and in the catholic homes. Our Catholics come and ask me for Rosaries for free of cost because they cannot afford to buy a Rosary, or a religious article and statues in the village chapels. 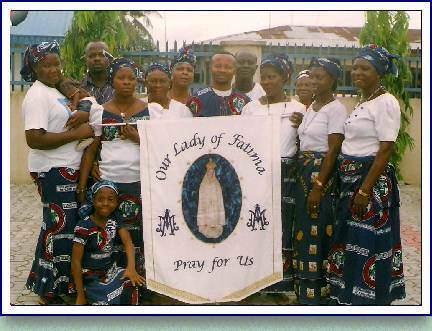 For the coming month of October I requested all the Catholic families to pray Rosary with out fail and they should conduct a procession to Our Lady at the end of Month with big celebration. Dear Loving Benefactor, you can understand the situation of a newly ordained and newly appointed parish priest. I am a poor parish priest with no help and financial support. I have no benefactors and I have to maintain the whole parish with Sunday collections I get and a little help from the Diocese. I am in despair, finding difficult and struggling with the situation. I have plans and ideas but no financial support. I am Fr K Arulappa from the diocese of Eluru, Andhra Pradesh, India. I am in a mission parish and my parishioners are from a tribal community. There are 6 mission stations and among these 6 mission stations 4 stations have chapels and the rest have only places, not even prayer huts. My parishioners were once catching snakes and living on that. Now they have stopped that and go for daily wage earning. Their children have no education. 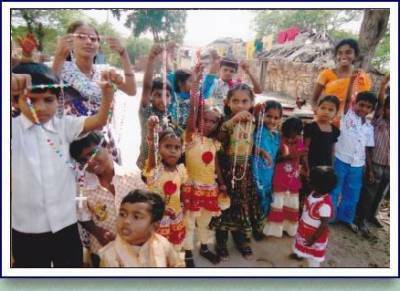 Therefore "Blessed Mother Teresa Orphanage" is started and there are at present 45 less fortunate and marginalized children. Whatever you provide I make use of that for my mission work. More than that I will be happy to receive holy mass intentions and I will celebrate the masses with grateful heart and pray for you too. With sincere thanks in advance, lots of love, all good wishes and prayerful regards, I remain. Greetings from the faithful of Mizoram. We are small diocese with young and vibrant Church here in Mizoram working an d witnessing to the Catholic Faith among a big number of Protestant denominations. We need your prayers and constant support. We shall be grateful to you if your could send us Rosaries, books abd Holy articles for the use of our Laity in the mission field. The Laity are so good and faithful in supporting and encouraging the priests in the field of evangelization. 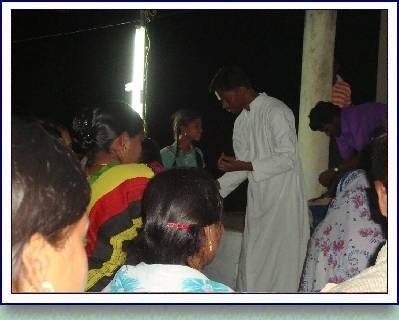 We make regular programmes for the visit and proclaimation of Catholic Faith and message along with the Laity.We regularly pray for the universal Church and specially for the mission helpers who dedicate towards helping the people work in the mission field. May our dear Mother Mary bless you and your generosity for your great sacrifice. I am Brother Viagulum, the team leader, 84 years old, no wife, no children. I got the partcel of rosaries. May the Eternal Father bless you. May Jesus bless you. May His mother bless you. May all cherrrubims bless you. May all angels bless you. May all saints bless you. Hundreds of people are praying for you, for your family and for all Rosary Makers. Please do continue to send more rosaries, old chalice. Thank you so much. I have a team of priests to celebrate Masses. Tanzania. I am studying Bachelor of veterinary medicine. We need Religious Articles such as Rosaries, Statues and Statuettes, Prayer books. you to assist us with any of these Articles. I will be very grateful. to send me rosary for our Rosary Group. for your genrosity. My Postal address in here under. I am Bro. Alvin Keith S. De Perio, a member of the Mission of theImmaculate Mediatrix, a lay branch of the Franciscans of theImmaculate whose primary objective is to make our Blessed Mother to beknown and loved as well as to spread the devotion to the Holy Rosary.I only been inform of your group through a good friend of mine. I wasgiven information about your guild and I was very happy that there aresome groups that promote the Rosary as a sure means in reachingparadise with our Lord. Our group is reaching out to the poor and theforgotten members of our society here in the Philippines by the meansof distributing rosaries so that their faith will be furtherstrengthen and their hope increasing. We are doing this for many yearsand since then, many returned to God and to our Holy Catholic Faith.Since that our group is in dire and in perennial need of rosaries forour distribution, I decided to write to your good office. Thus I desire and wish to start the MARIAN DEVOTION in my parish.